Please note that some items are shipped directly from a manufacturer. 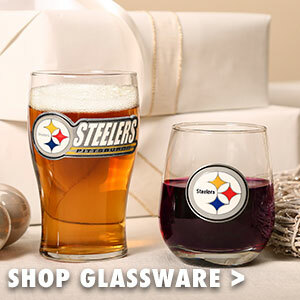 These items will ship separately and are subject to shipping restrictions. 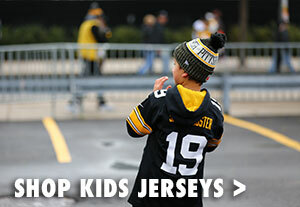 Manufacturer direct items are not able to be shipped internationally, with the exception of custom jerseys. These items are not eligible for expedited shipping methods. This will be indicated on the product page for applicable items. Standard shipping can take up to 9 business days for deliveries within the continental US. Expedited shipping methods are available for most domestic packages. If 2-day or overnight service is available, it will be shown at checkout with the appropriate charges. 2-day service will arrive 2 business days after the order has shipped from the warehouse. Overnight will arrive the next business day after the order has shipped. Please note that 2-day and overnight RUSH services are shipped and delivered on STANDARD BUSINESS DAYS (Monday through Friday, excluding holidays). Saturday Delivery is unavailable for rush service. In most cases, orders placed before 3pm EST will ship out the same day. In most cases, all orders placed after 3pm EST will ship out the next business day. Tracking information will be emailed to you upon the shipment leaving our warehouse. In that email, there is a link to track the package. If you did not receive this email in error, please log into your account and the tracking number will be available under your order number. In some cases, the carrier will deliver to a specific area of the address, a neighbor's address, or a complex office. If the package is not at the location that was instructed and you are unable to locate your package, please contact our customer service department so we may investigate the package location with the chosen delivery service. With any shipping questions, contact our customer service department at 1-800-832-6883 (412-741-5734 if outside the US). Direct signatures are not required on our packages. We ship items per the customers´ chosen method of delivery. We offer expedited methods for Alaska and Hawaii and those rates are shown at checkout. *Shipping methods may take an additional 1-2 business days depending on the exact destination of the package. Orders are shipped to US Territories and APO/FPO addresses via the customers´ chosen method of delivery. We do not offer expedited method´s for US territories, PO boxes, or Military addresses. Countries that we service will be available for entry in the drop down list at checkout. At checkout, you will only be charged applicable shipping and handling fees for shipping the package(s). In addition to this fee, packages are subject to customs clearance charges, including duties, taxes, and brokerage fees, which are to be paid by the recipient upon receipt of his/her package. 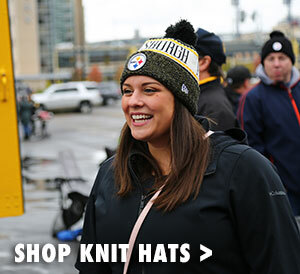 These charges are levied by the carrier and/or government, and none of these fees are paid to or collected by the Steelers Pro Shop World Headquarters. 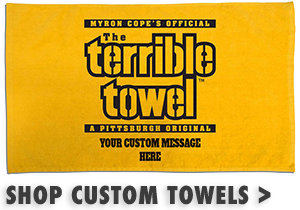 If the package is rejected or the charges are refused by the recipient, the Steelers Pro Shop World Headquarters is invoiced for the charges incurred, the customer is subject to billing for the charges and may not be refunded for his/her order.